When a divorcing couple is facing dwindling assets and ballooning debt, the usual family law litigation tactics of scheduling court appearances, stalling, sending threatening letters, and taking extreme positions have become unsustainable. As a result of the recession, more than 80% of divorces are being filed in pro per. Many people are opting to defer the divorce. They continue to live under the same roof, because establishing and maintaining two separate households is unaffordable. The primary breadwinner may have lost his or her job. The revenues of the previously flourishing small business may be down by thirty percent or more. The “stay-at-home” mom cannot, or will not, adjust to the new economic reality. At the same time, family law attorneys are accumulating uncollectible accounts receivable. Until recently litigation has often been financed by borrowing against the equity in the parties’ residence. Now that real estate values have plummeted, and there is little or no equity remaining in their homes, most couples cannot refinance. Instead they may be desperately negotiating short sales, staving off foreclosure, or even contemplating bankruptcy. So they are opting for mediation instead, because they have heard that it is a cheaper alternative. Mediation may be an optimum approach for child custody and visitation issues. A sensitive attorney-mediator can usually help the couple arrange suitable and flexible scheduling for the children, because, for the most part, families do put the needs of their children first. Mental health practitioners can be brought in for more complicated child issues. Their meetings often yield excellent results, especially in special needs or move-away cases that require more experience and training. Mediation is a superior method to use to resolve financial issues when both parties have information regarding their income and assets and the wherewithal to negotiate. However, when there is a power imbalance in the family, mediation can exacerbate the inequity of the parties and be another venue for intimidation and submission. Mediation mirrors the marriage. A few years ago, the typical mediation couple had a civil relationship and presented themselves at the mediator’s office to finalize some details in the parenting plan and property division and to calculate support. Their attitude demonstrated a desire to come to terms with their dissolution in a nonadversarial manner. After a few sessions of negotiating back and forth, the mediator wrote up their agreement. Today’s couple who present themselves in mediation may have a different demeanor. Their motivation is more likely to have an inexpensive divorce, not necessarily a peaceful one. The recent financial downturn has put an extra layer of strain on the marriage. The “out-spouse” has little or no information about the business. He or she distrusts the partner’s assertion that they are suddenly poor, when only a few years ago they bought a large home in an upscale neighborhood, drove expensive cars, and took frequent vacations. The goal of mediation is to wind up with a marital settlement agreement with input from both sides. The problem is that one spouse may have managed and controlled the couple’s finances with little or no oversight from the other spouse. They may have come from a culture where the woman takes responsibility for the home life and lives on an allowance, while the husband is in charge of the business life. Even in American homes, true egalitarian relationships are still rare. Except that now there is no money left to retain a litigator. 1) Both attorneys are focused on an equitable settlement, and they are committed to staying out of court without posturing and playing games. They will give the more controlling spouse a reality check while giving more support to the weaker spouse. They will demand full disclosure up front. They will schedule civil, productive meetings instead of mini melodramas full of sturm und drang. 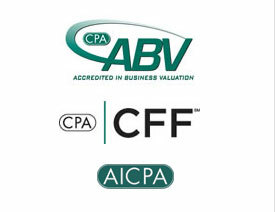 2) The parties hire one neutral CPA for financial issues and business valuations. The CPA can interview the couple to make recommendations regarding the family’s realistic needs balanced by an ability to pay. He or she can create a set of various options for property division for the attorneys to negotiate with their clients. 3) The couple’s emotional issues and child-centered details are discussed with experienced mental health professionals at their lower hourly rates. More time can be allocated to create specific schedules to suit the needs of the children instead of cookie-cutter parenting plans. The mental health professionals can give invaluable coaching to the party who is having difficulty accepting the dissolution. This will help the attorneys move the case forward. If you have a new couple who want to mediate only because they cannot afford litigation, or a client who is unfamiliar with the family’s finances or has been walking on egg shells during the marriage, urge them to consider collaborative law.